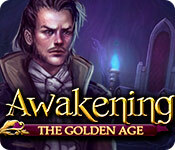 Awakening: The Golden Age is rated 3.4 out of 5 by 18. Rated 5 out of 5 by Sunoe from Surprised how fun this game is! I'm pleasantly surprised at how much fun this game is. Takes a good amount of time to play (I'm not finished yet), and the story is well written. The prince character's a little weird, but aren't they all? Some of the puzzles were pretty simple, but sometimes you want to actually accomplish something when you play, and I love the music. I have other games by the same makers, but this one stands above! Rated 5 out of 5 by ninja226 from Game Gold Loved this game. The music is Enya-like, ie soothing. Game moves quickly, with mini puzzles being easy, and HOPs are varied. There are fairytale elements such as Minotaurs, a prince who can light items with a ball of fire, and an amulet that allows you to "see" invisible items. The story is easy to follow. Artwork is beautiful, with scenery and setting reminiscent of Peter Jackson's Lord of the Rings trilogy. I have no complaints about this game, and had a thoroughly good time traveling through this imaginary world for 4 hrs. Rated 5 out of 5 by playinthewaves from SO GOOD. Wish I'd gone for the CE instead! I don't know why so many people rated this game so low. I have the rest of the Awakening series in CE versions, but after reading the bad reviews of this one I felt compelled to go for the SE. I wish now I hadn't! I think where people probably had complaints was the challenge level--relatively, the game was a breeze. Mini-games were easily playable and HO scenes weren't bad either. However, I feel the need to note that a) I'm a super-casual player who plays to unwind, so for me it was awesome and b) the Awakening series, relatively, seems more geared towards being family-friendly and so I think is less difficult as a whole. MY issue with the game, and possibly others' as well, is where they decided to "cut" the story to divide it between an SE and a CE--between this and the difficulty level, I think this is what people were talking about when they said the game felt too short. This is set in our usual Princess Sophia's human world past, but because it predates her we only get little nods to other games in the series (goblin automatons, for instance). However, after looking up the CE on Youtube, come to find out that oh yes, we DO get more involvement in games that make it an Awakening game, rather than a general fairytale quest--it just happens as a bonus chapter with "strange dreams" Sasha (main female character) has been having. ...........Er, what?! Why on earth is that BONUS content and not part of the main game itself? I think this is a writing/script error rather than a game developer error. While the plot with the minotaurs was compelling and fun, THAT should have been the bonus game--introduce us to Sasha first through her quest to connect to the future queen, and then give us a little bit of background how Sasha became an important person to the Kingdom through her minotaur quest. Still, I was ultimately very happy I chose to purchase it. I just wish I had known how much I would want the CE instead. Hope I can help other people who might be waffling not make the same mistake! Rated 5 out of 5 by canadiangirl94 from Just as fun as the others. Very surprised to see the low reviews for this game. I bought it without playing the trail since I already have the other ones so buying this was a no brainer. Very glad I did. The story takes place before Queen Sofia but still in the same land of humans with magic. Again three difficulties to chose from and the regular difficulty was the same as in the previous Awakening games. 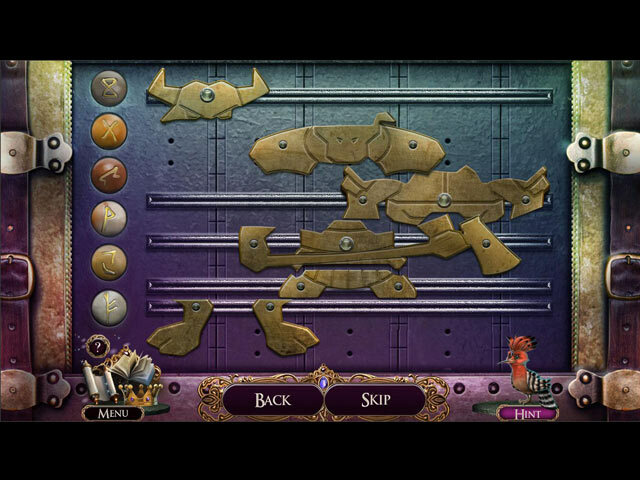 Had lots of hidden object scenes, but not as many minigames. The storyline seemed to be all summed up in the game which could be good or bad, we'll just have to wait and see. Another fantastic game by Boom Zap. Rated 4 out of 5 by denniann2 from a pretty good game there are three levels. hints are fairly fast and skips aren't far behind. 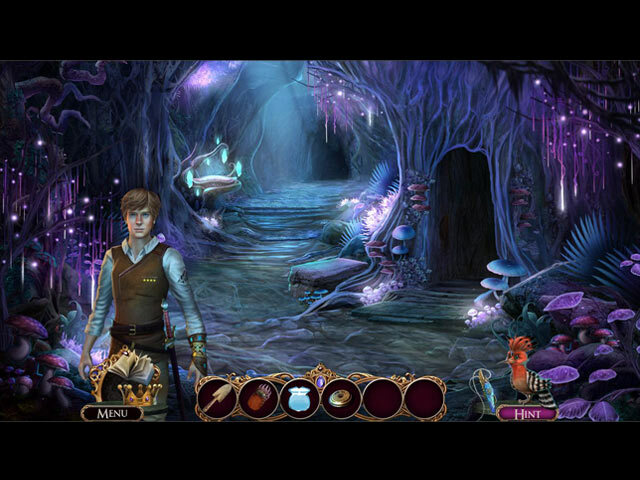 you wind up helping prince cedric and a minotaur healer get through the game to find out what is happening to the area. then you find out what it is and cedric doesn't want to believe it. good hint system. sequel.......in this series, yes!!!! Rated 4 out of 5 by girl1952 from Good One! ACCEPT! Where are the fairies? I have played this game at least 10 times and the best I have done is needing 7 fairies. I have even used a magnifing glass and still could not find them. I found 2 in one scene. Are there two in every scene? Also there are scenes I haven't found any fairies. Where are the FAIRIES? Also where is the wolf? The acheivements talk about showing the wolf a badge or something. I didn't see a wolf. Rated 4 out of 5 by radarsweet from Minotaurs, Spies & a Bit of Ecology Education! I'm a bit dismayed with some of the low stars on this game. I really enjoyed it. Granted, it was kind of slow at first; the graphics could have been much better, but overall, it was a nice game to play. Graphics are ok, but could have been much better. There are only two levels of challenge. The hint/ skip recharges quickly [in the easy mode]. Mini-Games are varied & pretty easy. if you're wandering around & don't know what to do & you hit the 'hint' button, it'll only tell you where you're supposed to be. The game does not hold your hand & point out every little detail. The Voice-Overs are excellent, & very believable. I liked the idea in trusting an enemy, & then have them NOT betray you later on. Together, you battle the force that is destroying both of your kingdoms. The fact that this is a 'pre-quell' to the others in the 'Awakening' series may be why the developers didn't spend a great deal of time on the details. Whenever you try to go backwards with a story & not ahead, it will have a great deal of limitations like you see in this game. I would say that this has a minimal re-play value. Although I enjoyed it, it really wasn't much of a challenge. I don't know if you could play it more than once a year without memorizing the whole game. Overall, I would recommend this game, & if you're looking for an easy game experience, this would be the one to get. Rated 4 out of 5 by alisonofagun from Who wouldn't want more "Awakening"? Fun, beautiful game. It is rather short compared to the others in the series but I thought it was still really fun to play. Really surprised at the low rating, I didn't find the game slow, boring, or stilted. I liked the characters that help you on the journey, although I missed my pocket dragon! I would be stoked if they made a spin off series in the form of prequels ending with Sophia placed in her slumber and all the planning that went in to that;). Is it the best in the Awakening series- no, definitely not, but it is fun, and I always like the chance to travel back to a game world I enjoyed before, that is what you get here. Rated 4 out of 5 by pennmom36 from Wake Up! Give this game a chance, it starts out slow but picks up the pace, especially when you pair up with the Minotaurs healer. I liked the Collectors Edition better because of the very well hidden Fairies, which made the game more fun. This story takes place long before Queen Sophia was born, when the humans lived in prosperity, which they called the Golden Age. The Golden Age will soon be an era of the past, the leader of the Minotaurs, General Blacktail, has declared war against the humans because he believes Prince Cedric is responsible for starving their kingdom of their most precious resource, water! Sasha is the only human that believes the Minotaurs and works diligently to expose the truth and find out who built the dams that have left the Minotaurs Kingdom barren. Sasha has magical powers (seems Sophia truly was the only one born without magic after all!) throughout the human kingdom are magical barriers that are marked with an Eye symbol. Sasha's amulet, the "All Seeing Eye" will reveal hidden passages and hidden caches such as Hidden Object Scenes. Once Sasha meets up with Prince Cedric whose magical power consists of creating fire with his bare hands, the two of them hatch a Hoopoe bird which is nothing more than a hint icon and really doesn't do anything. You also get to name your Hoopoe bird but the name doesn't appear anywhere that I noticed making this feature kind of worthless in my opinion. 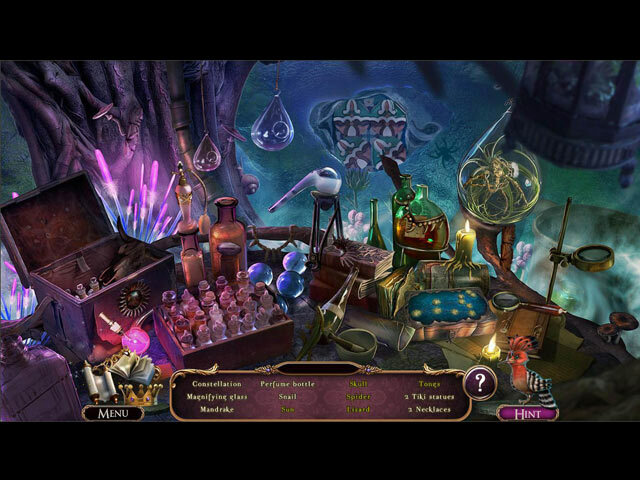 The Hidden Object Scenes are mostly interactive list finds which exposes a fragmented piece of a crest with each object found, to finding multiples of several items within a hand drawn sketch such as 10 flowers, clouds, shields etc. which was actually quite entertaining. The mini games are numerous in this game which is typical in most Awakening games, my favorite was constructing a map by selecting icons of buildings, crops and mountains, and placing them in the appropriate slots on the map with the clues that are given like, there are crops to the left of the Mill and mountains north west of the crops. The Collectors Edition has hidden Fairies, Wallpapers, Soundtracks, replayable Mini Games, Cutscenes, Achievements, Concept Art, a built in Strategy Guide and a Bonus Chapter, enjoy! Rated 4 out of 5 by jasfsr from Interesting Not too hard. Good for the novice. When minotaurs attack, only you can save the day.